For the love of bunnies, zombies and frocks! : Where NOT to attack a Zombie! It’s been awhile since my last post, but I am back with a handy diagram that may very well save your life! In my first post, I mentioned that I would occasionally be taking a break from my travel series to write about Zombie Combat, or Defence against the Dead. 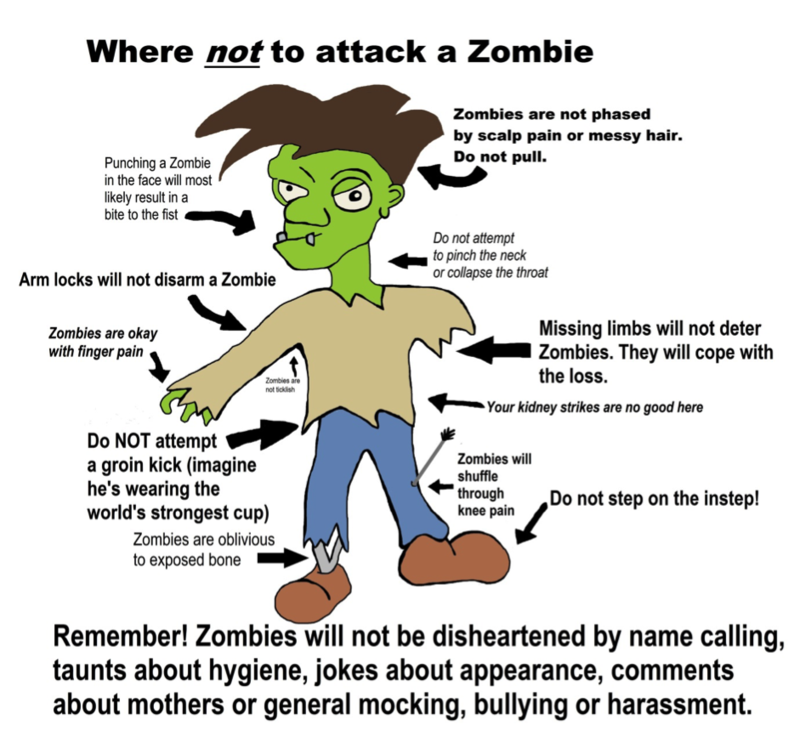 So to kick this series off, I present to you – where NOT to attack a Zombie! Whilst many of these places would harm a fellow human attacker, when it comes to Zombies there is one target and one target only – the brain. Destroy the brain and you destroy the zombie.